OPINION – It’s official, tuition is going up next year for those attending Utah’s public colleges and universities. Last Thursday I received an unexpected email from Nick Porrazzo at Raintree Apartments, coincidentally one of the apartment complexes in which I lived while I was in college. He expressed his desire to help college students figure out ways to make it through the end of the school year without financial problems. In the email he attached this infographic. 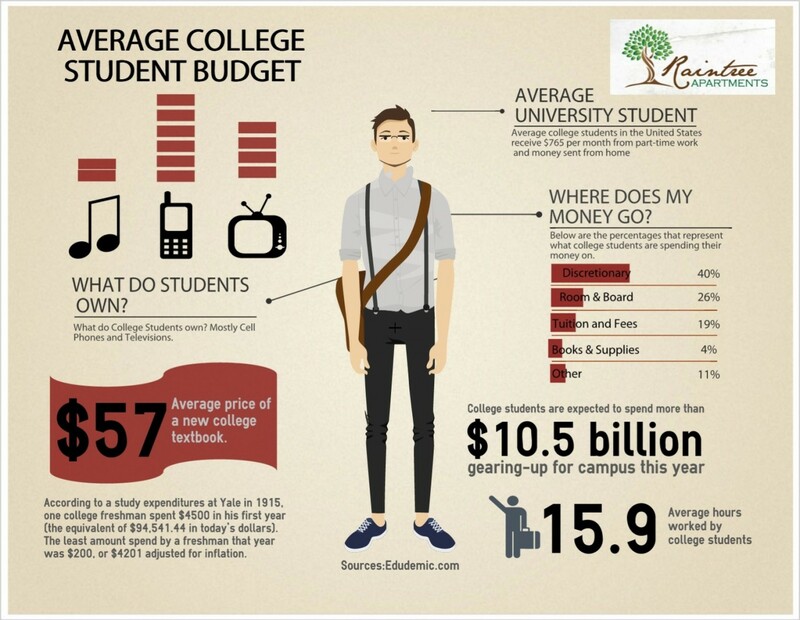 Having recently graduated, I remember very well how difficult it can be to keep up with expenses in college. In fact, two months ago I offered some observations I had made and some experiences I of mine to help anyone that needed a little help getting through. In my column, Wright Leaning: How to go to college without debt, and graduate with a great job, I offered and explained six keys I’ve seen that, if followed, will make a huge difference in your ability to make it successfully through college – without debt – and into the real world. They are the most important things I’m aware of that you need to do to pull it off. However, they aren’t all equally important. First, to recap the six keys: 1) Refuse to borrow money, 2) Work part-time during the school year, 3) Work 40-60 hours per week during the summer, 4) Scholarships and financial aid, 5) Finding the perfect job after graduation, and 6) College is not the fairy godmother. My last point, “College is not the fairy godmother,” is the most important one. Simply stated, the act of enrolling in college won’t magically make your life easy and successful. If you want to make your life successful, you can do it. You are in control, but you must be determined to make it successful, and you must be willing to work hard. There are so many examples of this. Just this past weekend, my wife and I were watching one of our favorite shows, “Shark Tank.” This show is bursting with examples of people that are straight-up driven to succeed. In this most recent episode, Lani Lazzari, a 19-year old girl, was able to get Mark Cuban to invest $100,000 into the company she started by herself. You can see the entire segment on ABC’s website starting at 24:10. With a lot of hard work he really turned his life around. According to the “Shark Tank” website he “sold his first tech company for $100 million” and then helped negotiate the sale of another for $225 million, and that’s just the beginning. No, neither of these stories are directly related to paying for college, but they do address that last point I made. Hard work and dedication will get you further than most, if not all of us, realize – certainly farther than the fairy godmother you could be waiting for for a long, long time.